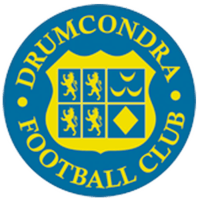 Drumcondra Football Club is an Irish association football club based in the Clonturk district of Drumcondra, Dublin. Their senior team currently play in the Leinster Senior League Senior Division. Drumcondra also field teams in the Amateur Football League, the North Dublin Schoolboys/Girls League and the Dublin & District Schoolboys League. In 1926–27 Drumcondra were the inaugural winners of the FAI Intermediate Cup and in the same season they also won the FAI Cup. They subsequently played in the League of Ireland from 1928–29 until 1971–72. During this time they won five League of Ireland titles and a further four FAI Cups. In 1972 they merged with their Northside, Dublin neighbours, Home Farm. The new club was briefly known as Home Farm-Drumcondra. The modern club was reformed in 2008 following the merger of Drumcondra A.F.C. and Drumcondra Athletic. Within just a few seasons of their foundation, Drumcondra came to national prominence. In 1926–27, while playing in the Leinster Senior League and with a team that included Joe Grace and Johnny Murray, Drums won the inaugural FAI Intermediate Cup. They then completed a cup double by also winning the 1926–27 FAI Cup. In the FAI Intermediate Cup final they defeated Cobh Ramblers while in the FAI Cup final they defeated Brideville. In 1927–28 Drums won the Leinster Senior League and also reached the 1927–28 FAI Cup final. During their time in the League of Ireland Drumcondra enjoyed a strong rivalry with Shamrock Rovers. In 1928–29 when Drums made their League of Ireland debut, their first opponents were Rovers. This first meeting between Drums and Rovers ended in a 1–1 draw. During the 1940s and 1950s large crowds gathered to see the Northside/Southside derby fixtures between the two clubs. During this time Drumcondra played Rovers in four FAI Cup finals in 1946, 1948, 1955 and 1957. The two clubs shared the honours, winning two finals each. In 1946 with a team that featured Con Martin, Robin Lawler, Kevin Clarke and Jimmy Lawlor, Drums won their third FAI Cup final after defeating Rovers 2–1 with goals from Tommy McCormack and Benny Henderson. The rivalry reached its peak during the late 1950s. At the time Drums squad included, among others, Alan Kelly, John O'Neill and Kit Lawlor. The 1956–57 season saw Rovers win the League of Ireland title, while Drums finished second. The opening game of the League of Ireland season saw the two teams meet at Tolka Park. The venue was packed to capacity with a crowd of 15,000. Rovers defeated Drums 2–0 in the Leinster Senior Cup final and then won the Dublin City Cup final on corners. However Drums defeated Rovers 2–0 in the 1956–57 FAI Cup final, thanks to goals from Bunny Fullam and Willie Coleman, and then 3–0 in the semi-final of the Top Four Cup a week later. A crowd of 20,000 turned up on 26 December 1956 to watch the Leinster Senior Cup final. The FAI Cup final on 28 April 1957 saw an attendance of 30,000 while the Top Four semi-final on 5 May 1957 was watched by 16,845. All three games were played at Dalymount Park. The rivalry continued into the 1957–58 season with Rovers and Drums meeting in the finals of the Leinster Senior Cup, the Top Four Cup, the Dublin City Cup and the LFA President's Cup. Unfortunately for Drums, Rovers won all four. However Drums did finish the season as League of Ireland champions, finishing two points clear of second placed Rovers. Drums and Rovers games continued to attract large crowds and on occasions this created some issues. On 26 January 1958 the first-ever all ticket League of Ireland game between Drums and Rovers had to be abandoned, after sixty-five minutes, after thousands of ticketless fans forced their way into an already packed Tolka Park. This in turn led to crowd encroachment on the pitch. Rovers were leading 2–1 at the time and the result was allowed to stand. In 1964–65 when Drums won their fifth League of Ireland title they finished one point clear of runners-up Rovers. Drumcondra qualified for European football on five occasions during the late 1950s and early 1960s. They made their home European debut on 1 October 1958 in a European Cup against Atlético Madrid at Dalymount Park. 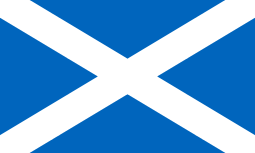 They had already lost the away leg 8–0 and would subsequently lose the home leg 5–1. The highlight of their European adventures came in the 1962–63 Inter-Cities Fairs Cup. Drums became the first League of Ireland side to register an aggregate win in European competition when they knocked out an Odense XI in the first round. In the second round they were beaten 6–0 away by Bayern Munich in the first leg. However, in the return game they earned a 1–0 win with Billy Dixon scoring the winning goal. In the late 1960s Drumcondra went into decline. In both 1969–70 and 1970–71 Drums finished last place in the league. They were also £6,000 in debt. At the end of the 1971–72 season the team was effectively taken over by Home Farm when, after almost twenty years in charge, Sam Prole agreed to sell the club. Drums final league game in their own right was a 1–1 draw with Shelbourne at Tolka Park on 5 April 1972. It was announced by Brendan Menton Sr., Home Farm honorary secretary, that the amateur club had taken over the entire share capital of their professional neighbouring club. During the 1972–73 season the side played as Home Farm-Drumcondra, however within a season the Drumcondra name was dropped and from the start of 1973–74 the side simply became Home Farm. Sam Prole subsequently became involved with Dundalk F.C. and a number of former Drumcondra players including Shay Noonan, Johnny Robinson, Willie Coleman, Ned Halpin and Tommy Rowe joined him at the Oriel Park club. The modern Drumcondra F.C. was effectively formed in 2008 following the merger of Drumcondra A.F.C. and Drumcondra Athletic. The two Leinster Senior League clubs had both previously claimed to be the rightful successor of the original Drumcondra F.C. club. Drumcondra A.F.C. was formed in the 1970s, not long after the demise of the original club. However, by the early 2000s they had relocated to Santry, playing their home games at Morton Stadium. They reached the third round of the 2004 FAI Cup but lost 5–0 to UCD. Meanwhile, Drumcondra Athletic were formed in the 1990s and trained and played in the suburb. During their time in the League of Ireland, Drumcondra played their home games at Tolka Park. In more recent seasons they have played at Morton Stadium. They currently play at a number of local pitches based at Clonturk Park, Dominican College, Johnstown Park and Albert College Park. Drumcondra's colours are essentially blue and gold/yellow. In their later seasons in the League of Ireland they also played in a sky blue strip. At various times they wore blue/gold hoops with white shorts before adopting a more modern European style gold with a blue v-neck and blue shorts in 1954. Johnny Murray represented Ireland at the 1924 Summer Olympics before joining Drumcondra. In 1926 Joe Grace became the first player to represent Ireland while playing for Drumcondra. The club were still playing in the Leinster Senior League at the time. In the 1930s Paddy Byrne, Tommy Donnelly, Freddie Hutchinson and Paddy Meehan also represented Ireland while playing for Drumcondra. After the Second World War, Tim Coffey, Dessie Glynn, Benny Henderson, Alan Kelly and Fran Brennan were added to this list. On two occasions Drumcondra players finished as the League of Ireland Top Scorer. Glynn was also Drumcondra's all-time top goalscorer with 96 goals between 1948 and 1956. 1 2 Graham, Alex. 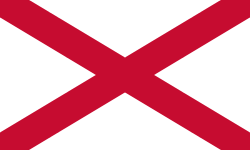 Football in the Republic of Ireland a Statisical Record 1921–2005. Soccer Books Limited. ISBN 1-86223-135-4. ↑ Dunphy, Eamon. The Rocky Road. Penguin Books. ↑ Paul Doolan, Robert Goggins (1993). The Hoops. Gill & MacmillanLtd. ISBN 0-7171-2121-6. ↑ "Irish Clubs In European Cups". rsssf.com. Retrieved 5 September 2009. ↑ Cullen, Donal (2007). Freestaters: The Republic of Ireland Soccer Team 1921–1939. Dessert Islands Books. ↑ Ryan, Sean (1997). The Boys In Green: The FAI International Story. Mainstream Publishing. ↑ "Ireland - List of Topscorers". www.rsssf.com. Retrieved 6 July 2016.